These photographs are from the archived collection in the Heritage Centre. The majority of these were collected by the late Jim Hamilton and include his own photographs taken in the 1980s and 1990s. As many as 1600 men worked in the mining industry in the area in 1920. Of that number, 1000 came by train from towns and villages throughout Clydesdale. Twenty-one carriages were required to transport them to and from Coalburn. 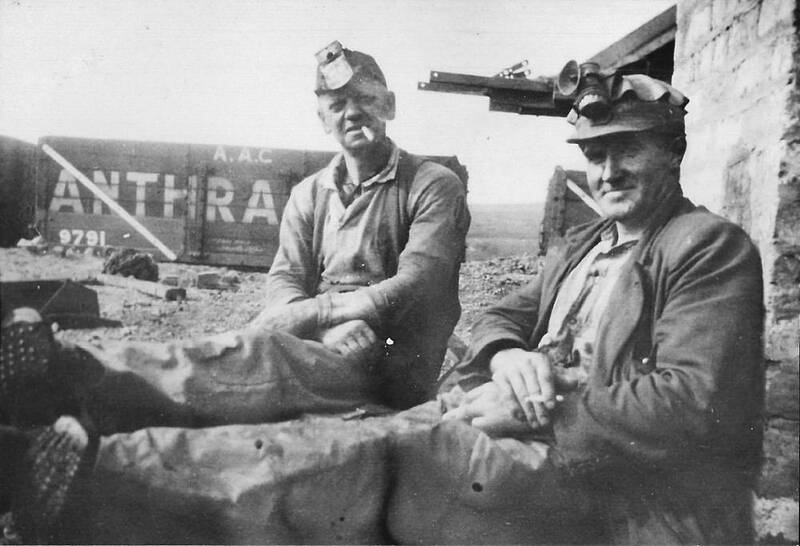 The photo shows Andrew Brown and Tam Findlay, both local men, enjoying a cigarette at the pithead. There was a very strict No Smoking rule underground for safety reasons. Anyone caught even with a match would be taken to court and usually fined and sacked. 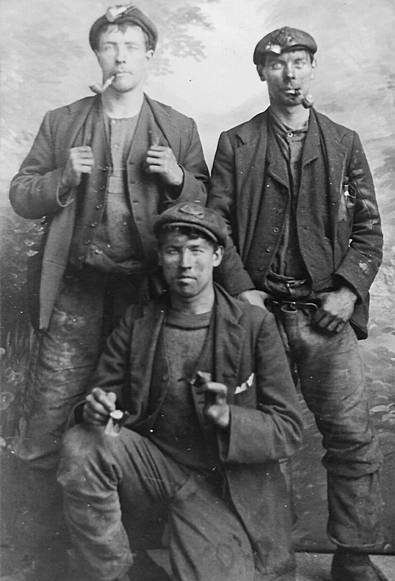 Three miners from Lesmahagow employed in the Coalburn mines in the 1920s. Standing are Jimmy Simpson and Sannie Campbell with Bob Nicol kneeling. 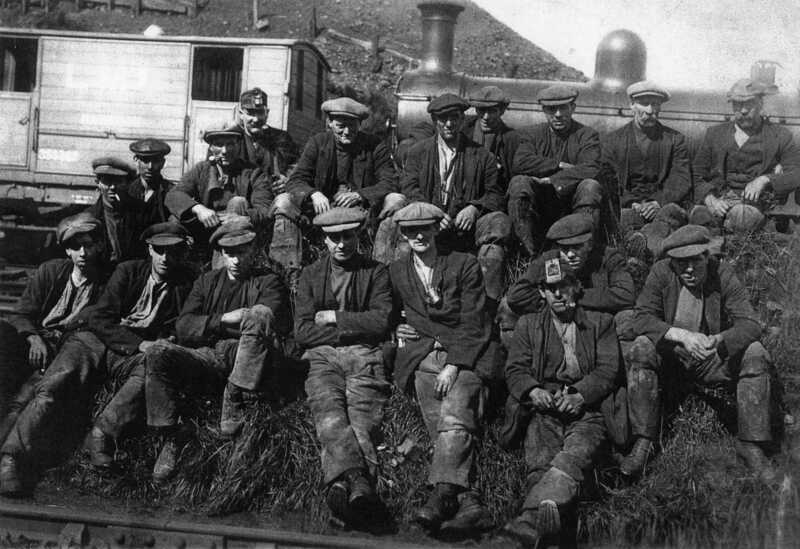 Miners from Coalburn, Lesmahagow and Kirkmuirhill after their shift at Dalquhandy Colliery, Coalburn around 1930. 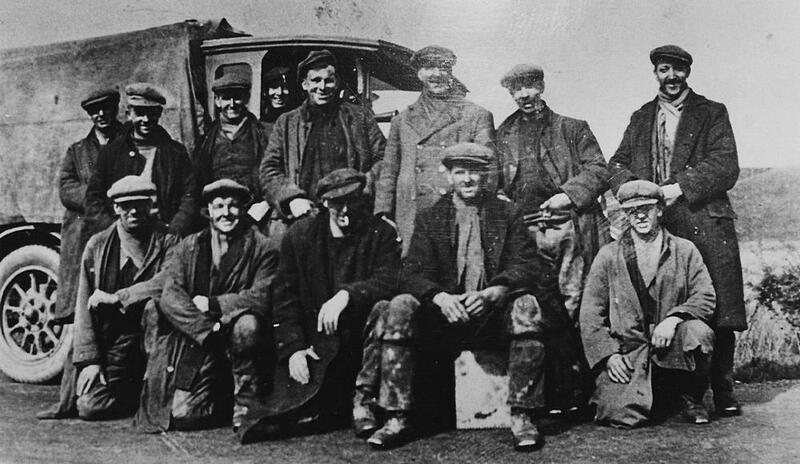 A group of experienced miners from Auchlochan Colliery, Coalburn who travelled on a lorry seven days each week from Coalburn, Lesmahagow and Kirkmuirhill to open Friendless Colliery, Mauchline around 1930. The photograph was taken by another miner, Jimmie Hamilton. 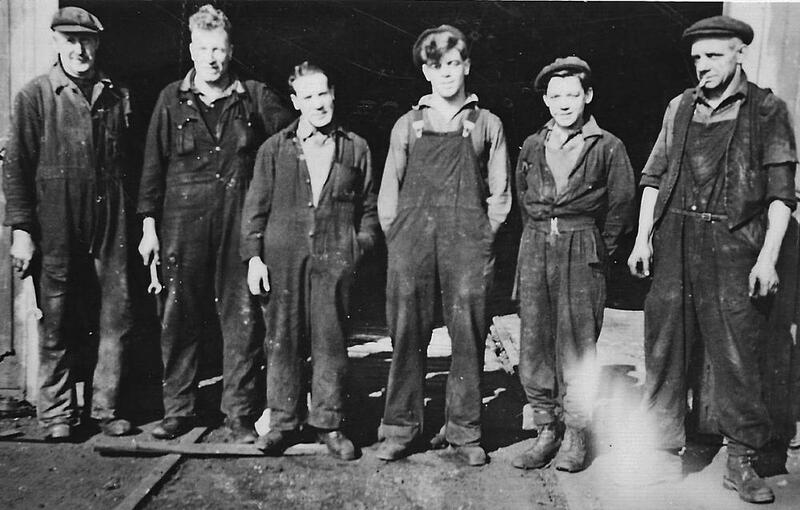 Engineers at Auchlochan Colliery in the 1940s. L to R: Willie Struthers, Wull Crammond, Peter Cook, Geordie Clark, Robert Nicol and Davie Wilson.